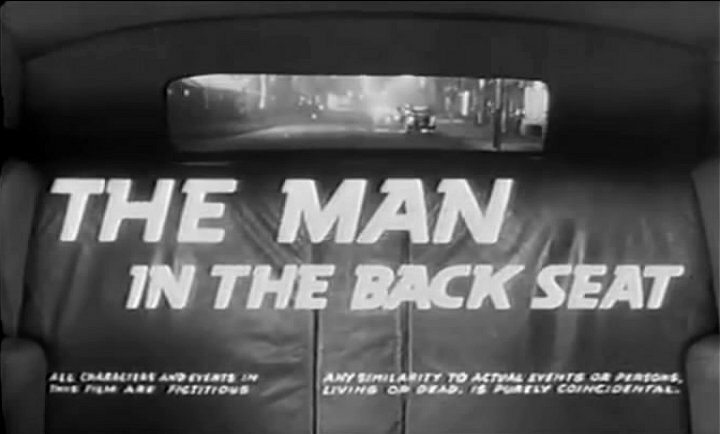 Movie Ramble: The Man in the Back Seat. The Man in the Back Seat. The British B-movie was essentially a low budget film, quickly made and destined for the bottom half of the double bill that was the normal cinema programmes from around 1930 to 1965. They were normally shown before the interval and were characteristically shorter than the main feature, anything between 55 to 75 minutes and typically belonging to the thriller or comedy genres and would use the modern dress of the day saving unnecessary expense. These films generally went unnoticed by the critics of the day. Some studios used them to showcase new talent while some directors used them as a stepping-stone to obtain the ‘glorious heights’ of the main feature. A small amount of directors who made major films in the 1940’s used them to prolong their careers into the late 1950’s and early 1960’s. One such director was Vernon Sewell who made B-movies with a touch of flair that in fact was missing from many of them. Carol White with her on screen husband Keith Faulkner. One such crime thriller was The Man in the Back Seat that was unusually stylish and gripping for a 1961 British B-movie. 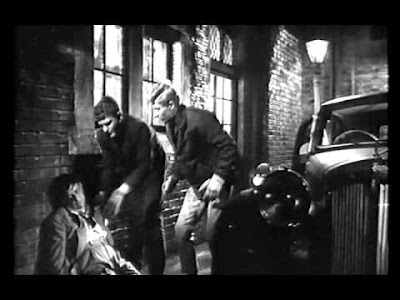 Malcolm Hulke, remembered mainly for his work on the TV series Doctor Who, wrote the screenplay along with Eric Paice based on a story by the English crime writer Edgar Wallace. This extremely well plotted story is a prime example of narrative writing at its very best where one things leads quite literally to the next in away that never wastes a moment of its 57 minute running time, something one or two of our modern directors could learn from. Tony and Frank dig themselves in deeper. The movie is superbly shoot at night in crisp black and white by Reginald Wyer and stars four main named actors, Darren Nesbit (Where Eagles Dare 1968) as the cold hearted Tony, Keith Faulkner, who you will recognise as Bob Cherry in Billy Bunter and Ginger in Just William, well known TV series, as Tony’s easily influenced best mate Frank who in turn is married to Jean a very young looking Carol White, who was 18 years old when the film was released but whose acting skills are already showing great promise. Harry Locke, a well-known British character actor plays Joe Carter the unfortunate bookie, mind you he does not have very much to say spending most of the film unconscious! The basic premise of this tense wee movie involves two petty crooks Tony and Frank in the robbery of a bookie at the local dog track. Unbeknown to our two rather incompetent villains Joe Carter has strapped his moneybag to his wrist by means of a set of police handcuffs! So to relieve the comatose book maker of the evenings takings they have to remove Joe, still attached to his bag, and shift him in the back of his own saloon car: not exactly what they had planned playing yo-yo with the body and all the time digging themselves a bigger hole in which to climb out of. As I intimated before, a cracking B-movie that is a credit to all those involved in it.